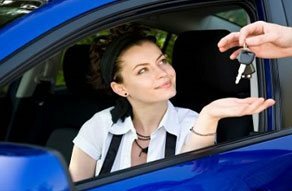 You might have already been warned off by your dealer when you bought your car that the keys to it don’t come in cheap and to be extra careful while handling them. You might have taken their advice and been very conscious of where you kept your keys. But one can never be too cautious and accidents or the occasional slip-ups do tend to happen; there’s no way past that! Being the diminutive components that they are, it’s quite easy to misplace them.But don’t fret, because getting a car key replacement is not as strenuous as you thought it was. 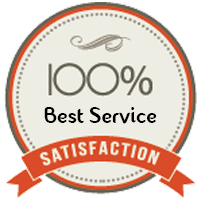 Choose Monroe Locksmith Service, a comprehensive locksmithing firm that has a specialized division dedicated to tackling automotive lock & key issues. And yes, that means we make car keys too. Why choose us over your dealership? Because we’re simply better. Can your dealer make you a key in minimal cost? No, you might have to shell out a fortune for it. Can your dealer get a key made and delivered within a few hours? No, there’s always a lengthy wait time. Can you procure a car key replacement in an emergency? No, you probably might’ve to tow your vehicle in case of a lockout and wait for days to get new keys made. That’s why, choosing us is the best decision you can make. We don’t settle for good, we settle for the best. And that’s why you’ll find a range of cutting-edge machinery and tools in our inventory. You don’t have to knock at our doors, because we bring the workshop to wherever you are in Monroe, OH area. Let’s face it; making car keys is no easy task. With the widespread use of smart keys, programming knowledge is a must, in addition to knowledge of cutting the key. Our experts know it all. Need a car key replacement in the middle of the night? Don’t worry, we function round-the-clock and you can always reach out to us for assistance. The days of waiting endlessly are over. Now, you can get new keys made in as little as 30 minutes. Our superior skill set and high-end machinery accelerate the key making process. For all your automotive lock & key needs, there’s but one point of contact – and that’s us. Dial 513-845-0069!